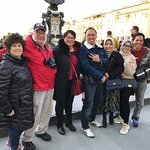 Explore Florence and Pisa on day tours from Rome in a small group of up to 12 people (max 6 per minivan). You will visit the David of Michelangelo, Piazza della Signoria, the Tower of Pisa (exterior). Piazza dei Miracoli, Pisa’s monument-filled central square. 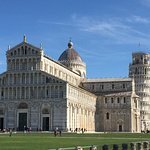 Stand before the Leaning Tower of Pisa for photos and learn about the Baptistery and Pisa Duomo, both resplendent in the local white marble. Continue to Florence and enjoy free time for lunch at your own expense. Later, meet back up with your guide for a walking tour. Discover medieval streets and craftsmen’s workshops as you stroll with tales of the powerful Florentine Medici family ringing in your ears. Then, head inside the Accademia Gallery to see Michelangelo’s sculpture of ‘David’ alongside other influential Renaissance art by the likes of Da Vinci and Botticelli. 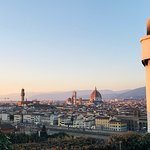 If time permits, visit the Cathedral of Santa Maria del Fiore to swoon at Brunelleschi’s dome, check out the baptistery, and admire Giotto’s Bell Tower. Finish with a quick trip up to Piazzale Michelangelo where a stunning city vista awaits. 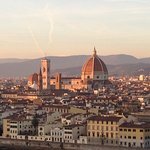 Cast your gaze over the Ponte Vecchio, River Arno, and Florence Duomo, then return to your minibus for the journey back to Rome. Your day ends with a hotel drop-off. 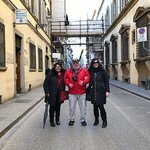 Get quick answers from Small-Group Tour: Florence and Pisa Day Trip from Rome staff and past visitors. Hi when I try to book the tour for Florence and Pisa for $181 the total for 2 is $590? Why is more on this tour ? It is best to call your tour vendor or agent. But from what I was told the tours are based on a minimum number of people i.e. x amount per person for a minimum of 6 people. 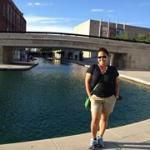 It is helpful to contact the local tour provider also. Good luck.